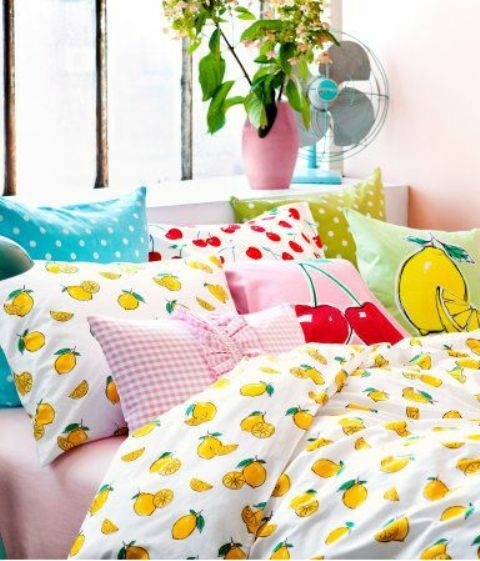 Nothing screams summer more than fruity prints! 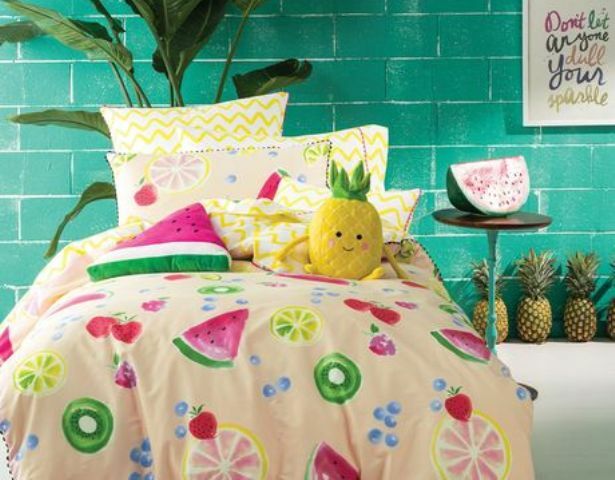 Add juicy fruits to your décor and fill your space with cool summer vibes! 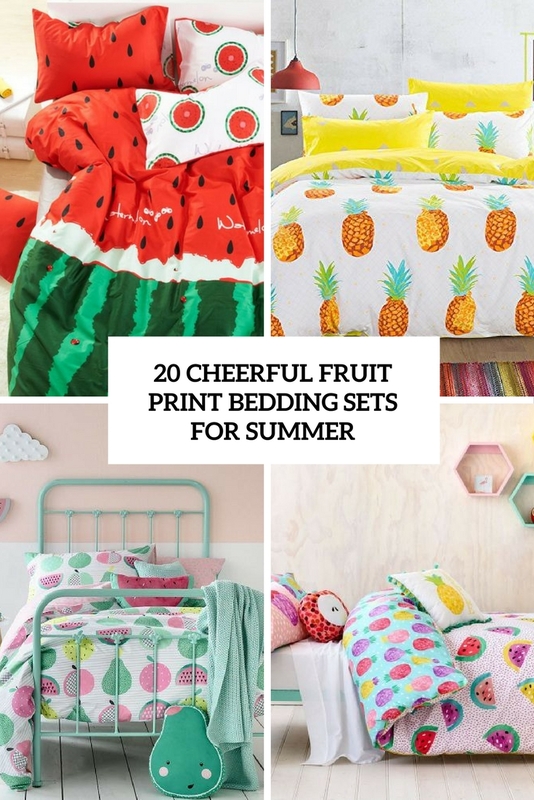 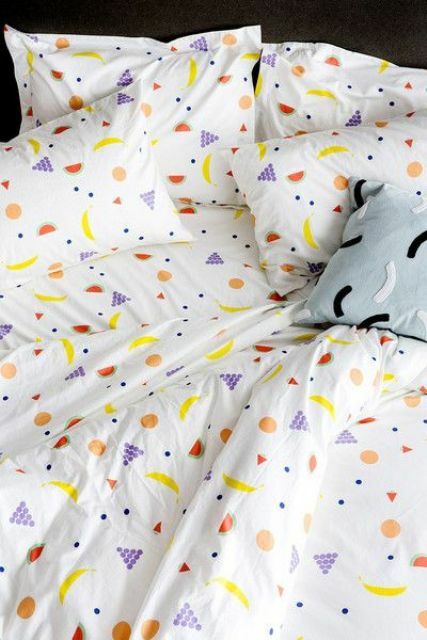 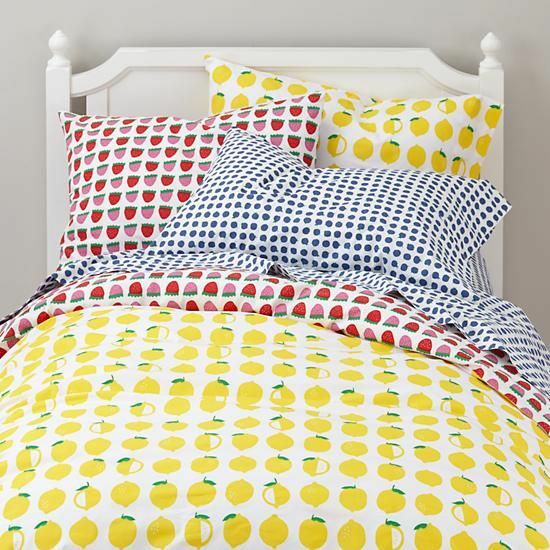 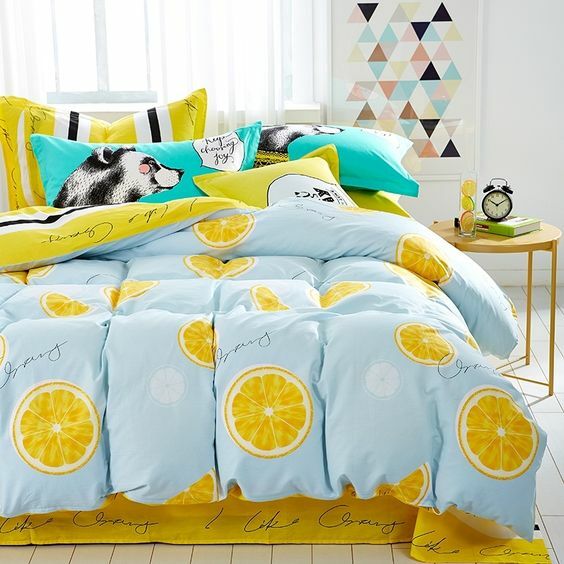 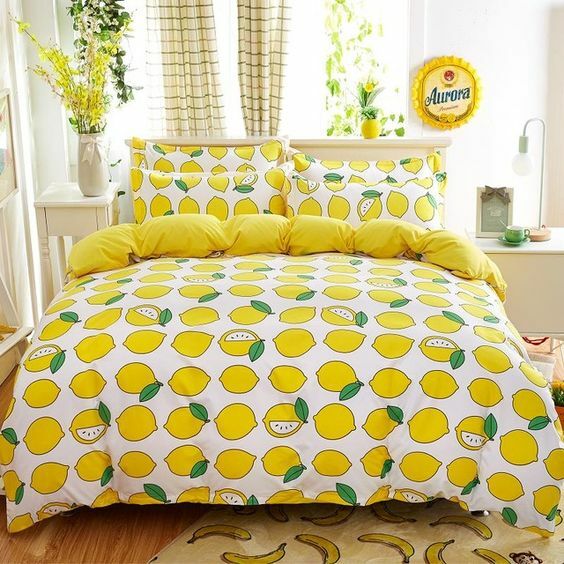 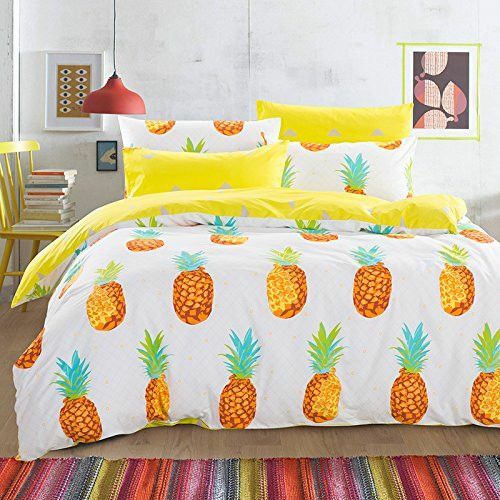 Today I’m going to inspire you with amazing fruit-connected ideas: fruit print bedding sets, both for kids and adults. 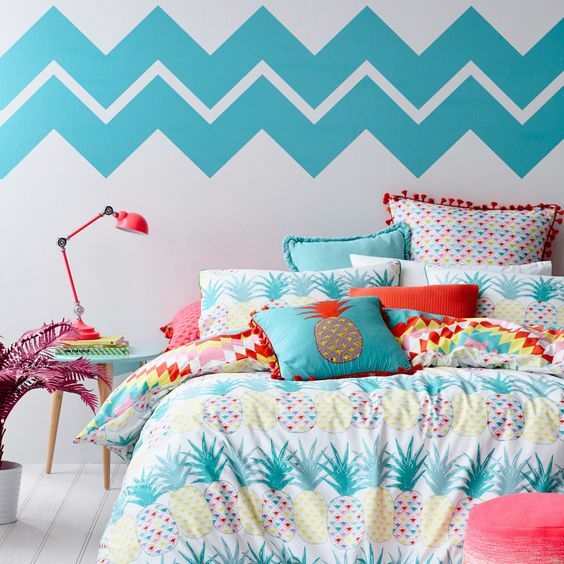 Actually, you can use same prints for both children and grown ups but we’d recommend calmer shades for children because too bold shades can prevent them from sleeping. 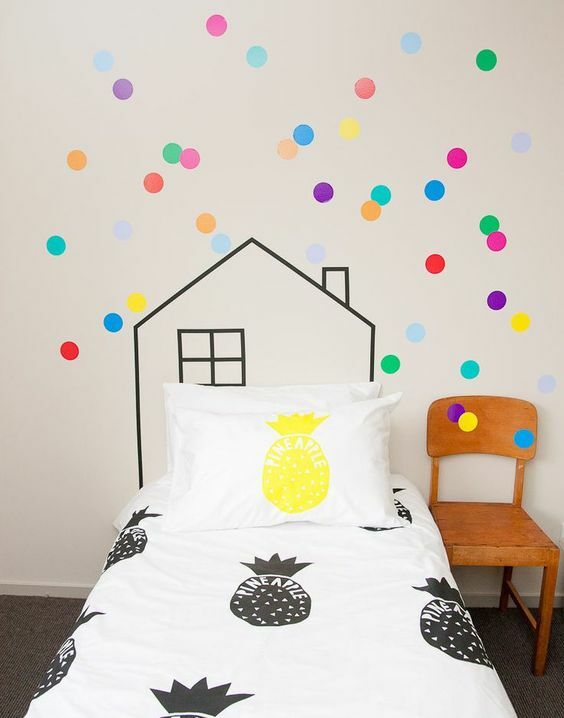 Black and white fruit prints and calm pastel prints are perfect for kids’ rooms because they will sleep better. 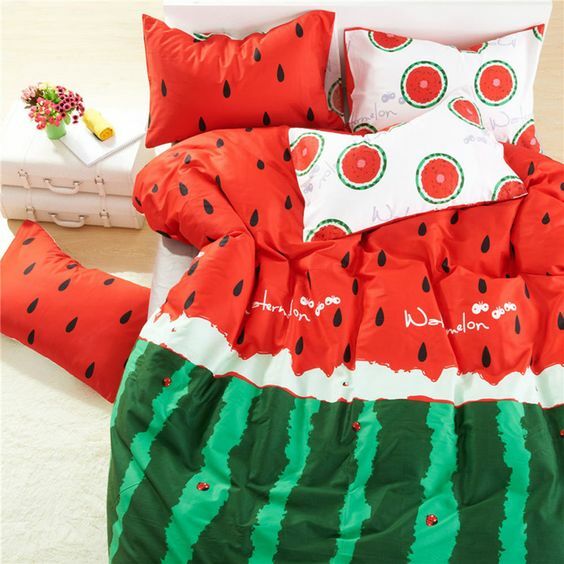 But of course you can add some colorful touches, for example, rock a set with a watermelon duvet, a lemon pillow and an apple sheet. 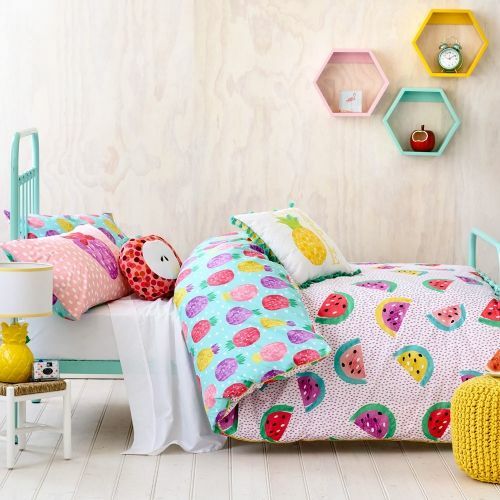 As it’s a kid’s space, why not add some fruit-shaped pillows for fun? 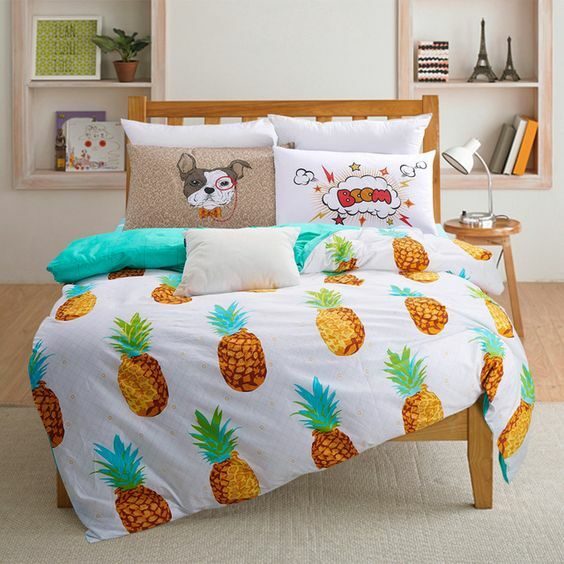 Your kids will love them! 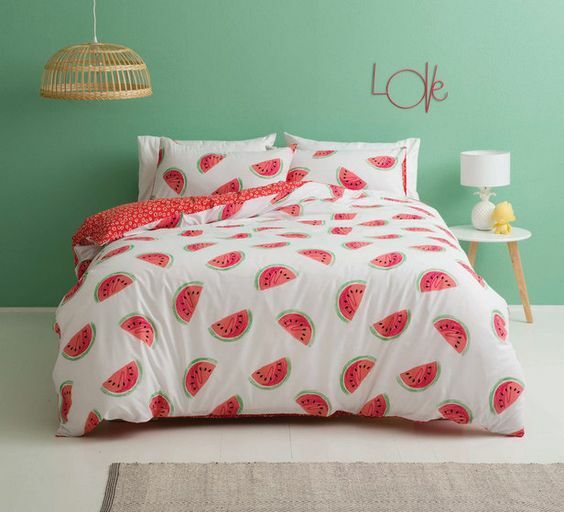 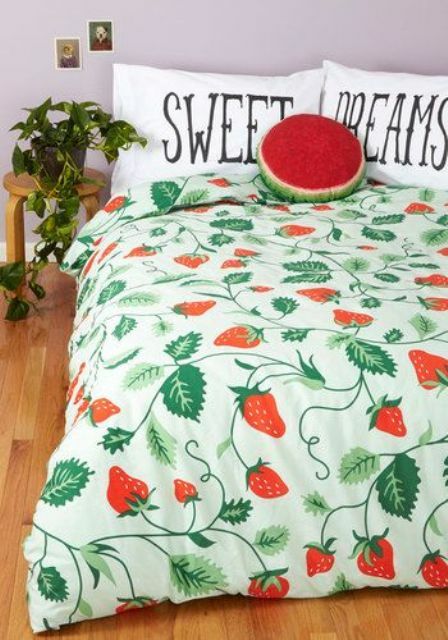 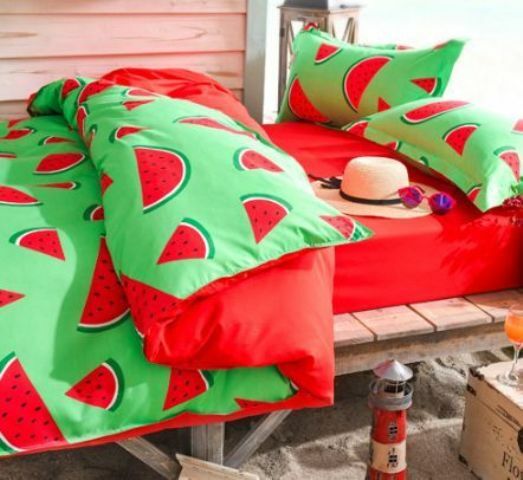 Watermelons are the most popular prints for adults’ bedding, they can be large scale or small ones, and they look cool in the neutral backdrop. 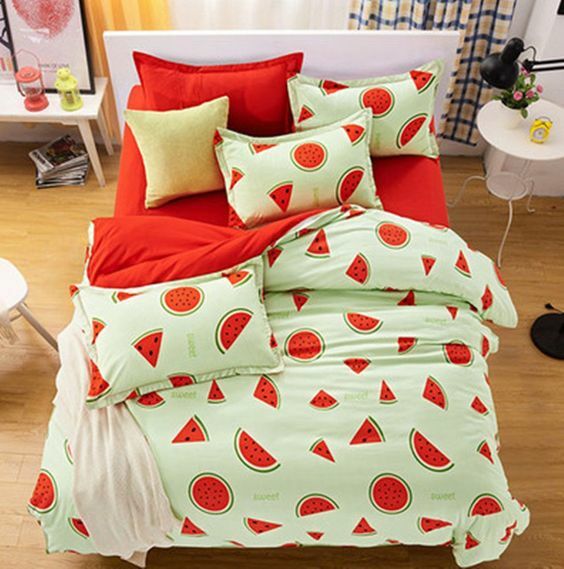 There are some bold sets with half green, half red bedding, and with bold green with red parts. 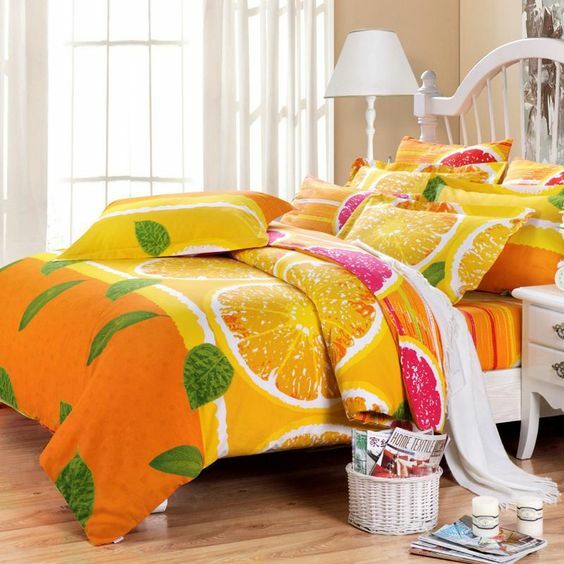 Citruses like oranges, grapefruits and lemons are also very cool for gown up spaces, they really create a cool mood right from the moment of waking up. 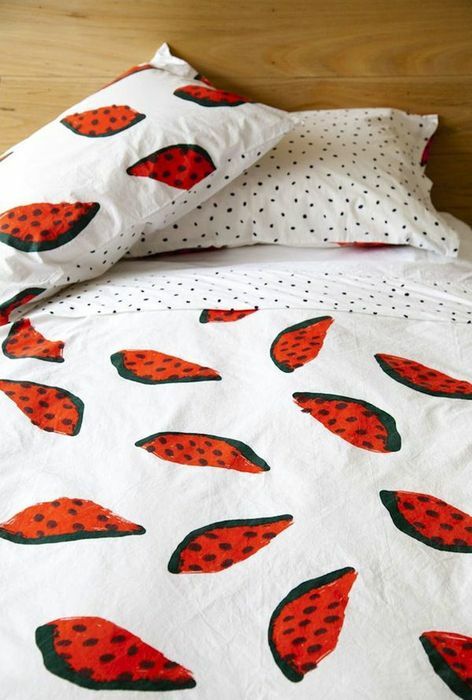 Strawberries are extremely summer-like, so if you feel like them – rock them for sure!